It’s been 7 years since I began to study the dangers of vaccines. Their effect on our most vulnerable is both sad and maddening. Thank goodness there are now reliable sources for all to find the truth. A special thank you to Dr. Andy Wakefield, Polly Tommey, Del Bigtree and the team at VAXXED, whose commitment to saving our children makes them all heros. PLEASE, DO YOUR OWN RESEARCH. And when you do, be aware of funding sources. * We have a 2 part immune system: The cellular branch of the immune system digests & expels waste and is the expression of illness. The humoral branch of the immune system produces antibodies and recognizes/identifies things that would harm us (“germs”). A healthy balance of cellular and humoral immune function is vital to good health. Vaccines bypass the cellular system by direct stimulation of the humoral branch. * Research shows that vaccines can overstimulate the humoral branch and inhibit the cellular branch, leading to immune suppression. Immune suppression and over stimulation of the humoral branch may show up as allergies, autoimmune disorders, neurological disorders, etc. * Breastfeeding, probiotics, antioxidants, and allowing the natural course of illness to occur enhance immune balance while heavy metals, toxins, infant formula, Tylenol, antibiotics and sugar lead to immune imbalance. * 80% of the total decline in mortality, since records began to be kept in the United Kingdom in 1860, occurred before any vaccine or antimicrobial drugs were available and 90% or more before there was any national vaccine program. * Diseases declined and longevity increased due to hygiene, running water and refrigeration. * Japan stopped using MMR vaccine in 1993 due to side effects and cost of compensating victims. They reconsidered using it again in 1999 but decided not to reinstate its use. The MMR is still used in the U.S.
* In France, government officials halted hepatitis B vaccine school requirements in 1998. France’s health minister acted after numerous reports of symptoms resembling arthritis and multiple sclerosis. Hep B is still given in the U.S.
* The H1N1 flu vaccine is 60 times more likely to cause a miscarriage than regular seasonal flu vaccines according to VAERS (Vaccine Adverse Event Reporting System). * In October of 2013, Italy, Switzerland, Spain, Germany, Austria, France and Canada suspended the use of a number of Novartis flu vaccines. Novartis is approved by the U.S. Food and Drug Administration. * The oral polio vaccine was banned from use in the United States in 2000. The reason for this ban was because too many children were developing vaccine associated paralytic polio (VAPP) as a serious side effect of the oral vaccine. * “A single vaccine given to a six pound newborn is the equivalent of giving a 180-pound adult 30 vaccinations on the same day”, Dr Boyd Haley, Ph.D.
* In 2016, there have been 48 cases of Measles in the U.S. through July and ZERO DEATHS. * 2012: 20 pertussis-related deaths compared to 2010: 3,404 DEATHS due to asthma. * From January 1 to May 2, 2014, 464 people in the United States have been reported to have mumps. ZERO DEATHS. There are 100,000+ DEATHS yearly due to adverse drug reactions. * According to the New York State Department of Health, 2 of 20 people infected inthe 1994 measles “outbreak” in New York City were children who had not been vaccinated by their parent’s choice. What about the other 18? Why didn’t their vaccines work? * aluminum hydroxide * aluminum phosphate * ammonium sulfate * amphotericin B * animal tissues: pig blood, horse blood, rabbit brain * dog kidney, monkey kidney* chick embryo, chicken egg, duck egg * calf (bovine) serum * betapropiolactone * fetal bovine serum * formaldehyde * formalin * gelatin *glycerol * human diploid cells (originating from human aborted fetal tissue) * hydrolized gelatin * mercury thimerosol (thimerosal, Merthiolate) * monosodium glutamate (MSG) * neomycin * neomycin sulfate *phenol red indicator * phenoxyethanol (antifreeze) * potassium diphosphate * potassium monophosphate * polymyxin B * polysorbate 20 *polysorbate 80 porcine (pig) pancreatic hydrolysate of casein * residual MRC5 proteins * sorbitol * tri(n)butylphosphate * VERO cells, a continuous line of monkey kidney cells * washed sheep red blood. • Aluminum gels or salts of aluminum which are added as adjuvants to help the vaccine stimulate a better response. • Antibiotics which are added to some vaccines to prevent the growth of germs (bacteria) during production and storage of the vaccine. • Egg protein is found in influenza and yellow fever vaccines, which are prepared using chicken eggs. • Monosodium glutamate (MSG) and 2-phenoxy-ethanol. • Thimerosal is a mercury-containing preservative that is added to vials of vaccine that contain more than one dose to prevent contamination and growth of potentially harmful bacteria. In late August, 2014, Senior Scientist William Thompson from the CDC came out about research data modification in the MMR/autism study of 2004. Data was omitted and changed to hide the significant link between vaccines and autism. As of April 2018, Dr. Thompson still has not testified before Congress even though he wants to. * Dr. Wakefield and his team’s research found the vaccine strain of measles virus in the intestinal tracts of children whose parents reported regressive autism and IBD after the MMR vaccine. * Dr. Andrew Wakefield had no ties to the pharmaceutical industry. * Dr. John Walker-Smith who supervised Wakefield and was accused of the same wrongdoings was fully exhonerated of all charges. Dr. Wakefield is now suing the British Medical Journal and the journalist who attacked him. * Over 400 papers in peer reviewed journals have been published documenting and exploring vaccine injury and death. * In the year 2006, drug companies made $4.3 billion on pediatric/adolescent vaccines. That number is projected to be over $16 billion (per year) by 2016. * The CDC offers financial incentives to state departments of health for each “fully vaccinated child”. In a recent year, the Ohio Department of Health received $1 million in such CDC bonus payments. wellbeingjournal.com Kristine M. Severyn, Ph.D.
And yes, it is Big Pharma funding the movement against those who are for vaccine choice. * As of early 2018 of this year, $3.8 billion had been paid out to vaccine victims even though two out of three plaintiffs are denied compensation. Thousands of cases are waiting to be heard. * The first case where a vaccine/autism connection was acknowledged was in 2007 (Hannah Poling), though the family saw no funds until 2010. * Bailey Banks – the court ruled (or the government conceded) that vaccines had caused encephalopathy, which in turn produced permanent injury, including symptoms of autism and ultimately an autism spectrum disorder diagnosis. * In Michigan, right now, you have 3 ways to protect your child from vaccines – medical, religious and philosophical. * Philosophical exemptions do not require any written reasoning. * Religious exemptions do not have to be associated with a specific organized religion. * Parent philosophical exemptions are CURRENTLY UNDER ATTACK in Michigan through the Michigan Medical Society. Stay aware and be ready to contact your legislators if a bill is written. * Wait until at least 2 years of age and only give one vaccine at a time. * Run a blood test for the MTHFR gene. Those with this gene are highly at risk for vaccine injury. * The Vaccine Book: Making the Right Decision for Your Child by Robert Sears, M.D offers a modified schedule. 1. Am I or my child sick right now? 2. Have I or my child had a bad reaction to a vaccination before? 3. Do I or my child have a personal or family history of vaccine reactions, neurological disorders, severe allergies or immune system problems? 4. Do I know the disease and vaccine risks for myself or my child? 5. Do I have full information about the vaccine’s side effects? 6. Do I know how to identify and report a vaccine reaction? 7. Do I know I need to keep a written record, including the vaccine manufacturer’s name and lot number, for all vaccinations? 8. Do I know I have the right to make an informed choice? SPECIAL NOTE: If you obtain literature on vaccines from Children’s Hospital of Philadelphia, please be aware that the Director of Infectious Disease and the Vaccine Education Center is Dr. Paul Offit. Offit holds the patent for the rotavirus vaccine. His earnings for this are in the tens of millions. Public health departments, at least in Michigan, use literature from this source. Please watch the movie VAXXED which describes in detail the CDC whistleblower, William Thompson, Ph.D.’s attempts to share the truth about the cover-up at the CDC in the 2004 study of the MMR vaccine and autism. Callous Disregard by Andrew J. Wakefield. M.D. Immunizations: The Terrible Risks Your Children Face That Your Doctor Wont Reveal by Robert Mendolsyn, M.D. The Parents’ Concise Guide to Childhood Vaccinations by Lauren Feder, M.D. The Nourishing Traditions Book of Baby and Child Care, Sally Fallon Morell and Thomas Cowan, M.D. Shaken Baby Syndrome or Vaccine Induced Encephalitis by Harold Buttram, M.D. 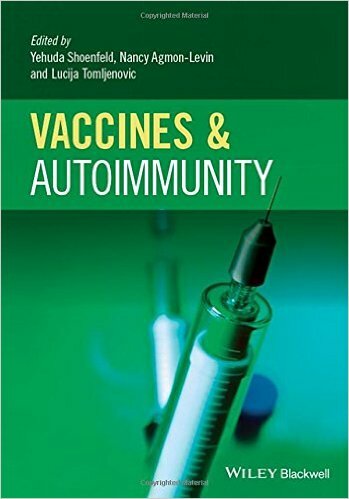 Update in 2016 ~ A textbook has now been written about the causative link between autoimmune diseases, like lupus, arthritis, and fibromyalgia and vaccinations. 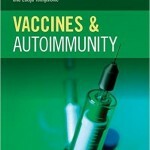 Vaccines and Autoimmunity, edited by Yehuda Shoenfeld, Nancy Agmon-Levin and Lucija Tomljenovic contains the research of over 70 researchers. It warrants exploration. You can Google individual vaccines to look at copies of their inserts to see the actual ingredients – please do! You can also Goggle Michigan Care Improvement Registry Participation in the MCIR Reporting to get the form to opt your children out of vaccine use registration (so they don’t keep track of your choices).